What are the benefits of a rain sensor being installed on my irrigation system? 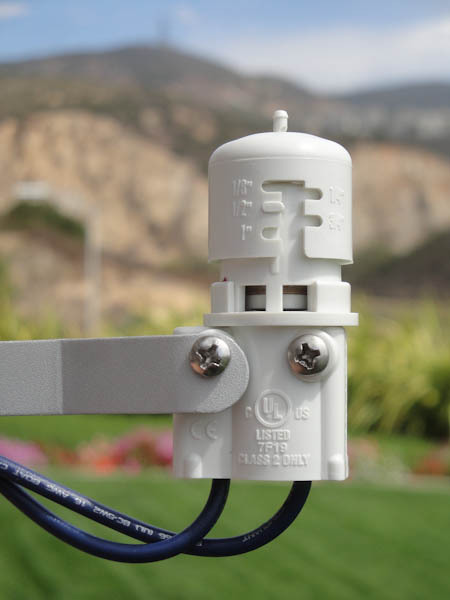 The Hunter Mini-Clik, Rain-Clik and Wireless Rain-Clik are compatible with all brands of irrigation controllers and can be installed by your professional irrigation contractor. Rain sensors are required by law in some areas, so it is a good idea to check with your contractor or local water authority before having an irrigation system installed. Even if a sensor is not required, it is a good idea to have one on your system. They help to save water by interrupting any automatic cycles scheduled after enough accumulation of rain has occurred. This not only saves money, but can help to make sure that plants are not over watered and can keep you from the embarrassment of watering while it is raining.